A few years ago, Nadiya Hussain captured the hearts of the nation by winning 2015’s Great British Bake-off, an emotional venture of highs and lows that left us glued to our screens. Now, Nadiya has channelled her creative talents and the same emotional energy in a completely different way… by writing her very first novel! 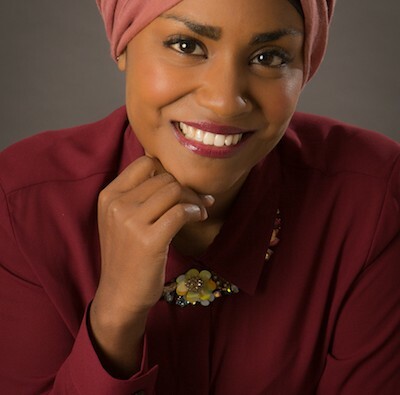 Nadiya is already the successful author of a series of cook-books, including Nadiya’s Kitchen (Michael Joseph) and Bake Me a Story (Hodder). However, her new novel is an entirely new stream of literature created by the talented writer. The second instalment in her fiction-series of the Amir Sisters is just as engaging as The Secret Lies of the Amir Sisters. In fact, The Fall and Rise has been likened to a merge of Little Women meeting Marian Keyes’ Walsh Family. A heart-rending tale of four close-knit sisters, following their stories of motherhood, womanhood, pregnancy and family struggles. Will their sisterly bond prevail as each undertakes her own personal journey, or will they only drift further apart? The Fall and Rise of the Amir Sisters by Nadiya Hussain will be available to buy from January 24th as a paperback edition for £7.99, eBook for £3.00 and Audio at £12.99. Don’t miss this soon-to-be best-seller that everyone’s sure to be talking about!